View More In Bicycle Carriers. 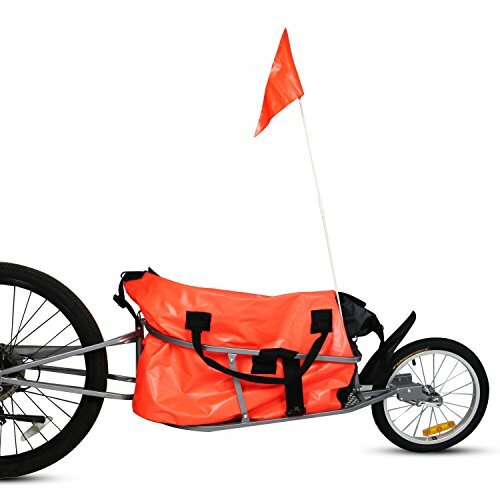 This single wheel bicycle cargo trailer is suitable for multi-function. For use on a multi day bicycle tour, keeping your most of stuff on the trailer. When you need daily grocery runs, hooking your trailer up or down according to your need.As long as you maintain some speed, it tracks well when you turn.The visible orange bag is waterproof and secures your stuff safely. The simple design is convenient for you to assemble and store. If you have any questions about this product by Peachtree Audio, contact us by completing and submitting the form below. If you are looking for a specif part number, please include it with your message.